Autel Maxicom MK808 Review - Serious Performance Under $500! Autel Maxicom MK808 Review – Serious Performance Under $500! This scanner is one that provides a unique look when compared to other options. Due to the tablet-style, it's easy to use and gives you a good look at what might be wrong with your vehicle. It is one of the more expensive options out there, but it includes a multitude of features for added convenience. This scanner has the look and feel of a tablet. There is a touchscreen which can be used to navigate through the menus of the device and check the codes. The grips on either side help you to hold onto the scanner with either one hand or two. These grips (along with the rest of the casing) help to protect the scanner from any impacts. ​​This scanner uses an Android OS. Those who are familiar with Android will know that is easy to use, and those who are not familiar will find it easy to pick up and use. This device connects to your engine system through a cord. The device has a built-in battery, so you do not need to have the engine on for you to be able to run the diagnostics. ​​The tablet does have Wi-Fi capability for connecting to the internet and downloading updates. 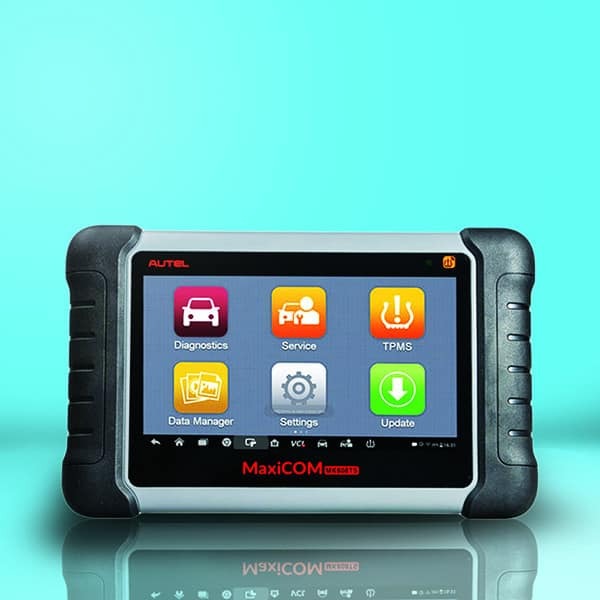 ​This scanner will help you to diagnose problems with the engine system, ABS, SRS, wipers, brake pads, emissions, and fuel. With each diagnosis, you will get a detailed report telling you the exact issue you are dealing with and possible fixes. When you have your car serviced and the oil replaced (or when you do it yourself), you can use this device to reset the oil change dates. This helps to keep your vehicle on an accurate service schedule based on when the vehicle needs the work. You can use this scanner to help protect your vehicle from theft. If you ever lose the key to your vehicle, this device can reprogram a new one for you and remotely disable the previous key. A convenient feature is the unlimited access to diagnostic tools and resources. 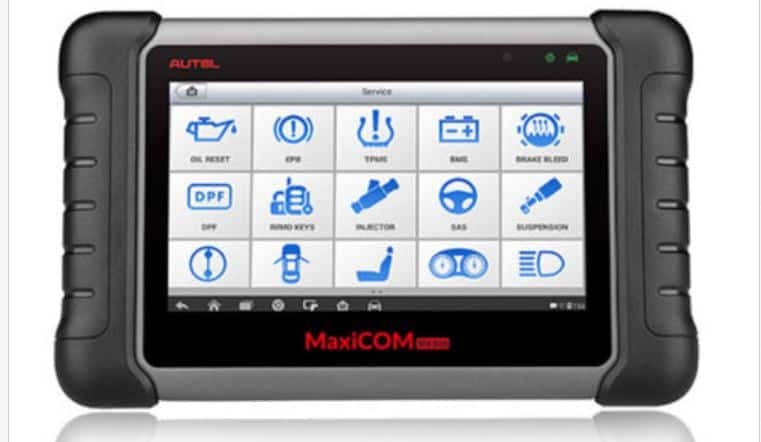 The device uses the MaxiFix Platform to offer you access to all of these features, and Autel support is always on hand to help you with any of this. This scanner can wipe the memory of your sensor for the steering angle. The new angle is then stored so that the steering is always kept on track. This is a 7-inch scanner which means that you have a large screen at your disposal. This is beneficial when you have a lot of information coming at you at once; instead of trying to decipher small writing or having some of the information off-screen, you can look at all of the information together. This also makes it easier to read the codes so that you are never mistaken when you are making a diagnosis. This device is small and lightweight. You are able to hold it comfortably in your hands for a long period of time, and you are also able to take it anywhere with you. The portability is a great benefit if you are moving around a lot with the device. The functionality will help you to diagnose problems which could cost you hundreds of dollars if you sent your vehicle to a shop. You are able to diagnose problems which usually only a professional would be able to diagnose, and with the suggestions for fixes, you can often fix a common problem easily without paying a professional to find the problem and then fix it. While the device is great at diagnosing problems and recommending fixes for those problems, it can be somewhat limited when it comes to modifying vehicles. 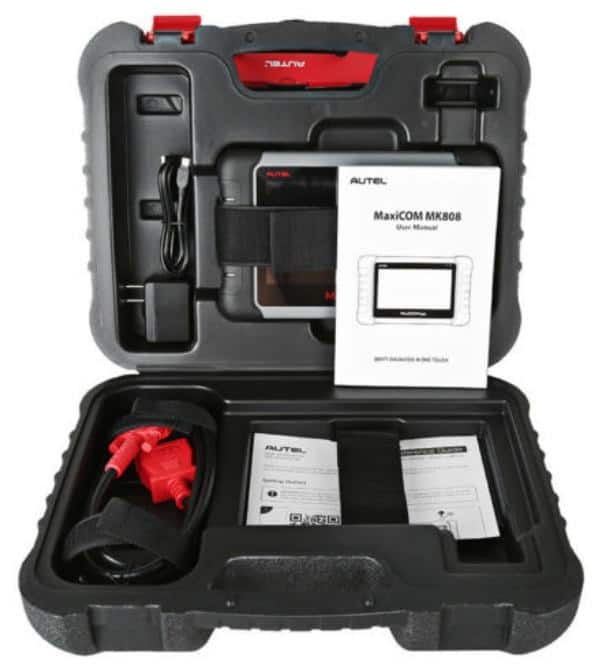 This is a great device which can be used by regular car owners as well as car technicians. There is enough functionality here to diagnose even the most hard-to-find problems while still being able to find the common and often-overlooked problems. The device is also easy enough to use, that a regular car owner will be able to understand what the problem is and what the fix means for them. This scanner is fast, so if you are servicing a fleet of vehicles, you can do so quickly and effectively. You are also backed by a 1-year warranty and amazing customer service. This is one of the best scanners for saving you money, and with the added vehicle protection, it may also save your vehicle from theft too.